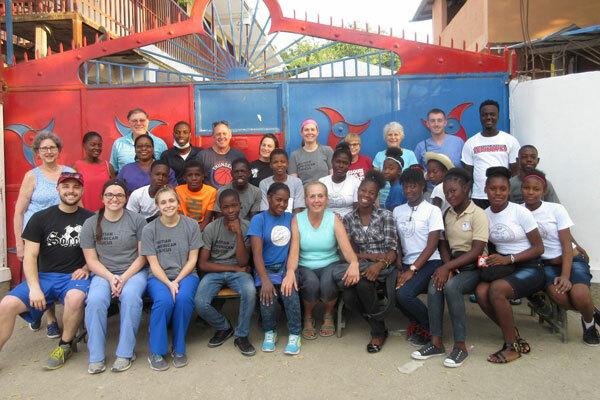 The Haiti Project was started by the Zonta Club of Cape Girardeau in partnership with the Haitian American Caucus (HAC) in Croix de Bouquets Haiti in 2011. It was adopted as the District 7 project in 2013 for the 2014-2016 and 2016-2018 bienniums. 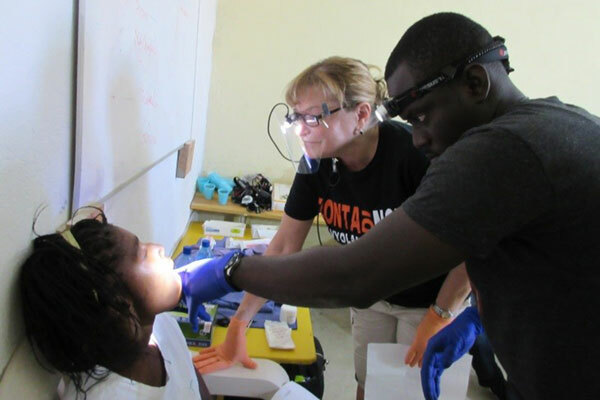 4 areas of impact: Medical & Dental Health Services, Education, Skill Building, and Support. 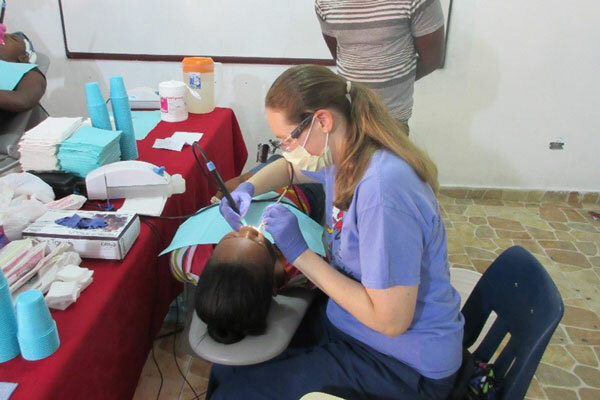 We commit to annual dental & medical clinics. 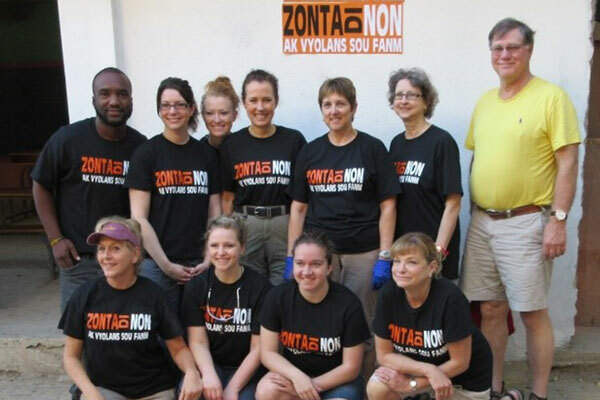 Since inception, teams of Zontians & non-Zontians have served over 5,000 women, children & families during 6 dental clinics and 4 medical clinics. We also mentor youth and other health professionals in the community. 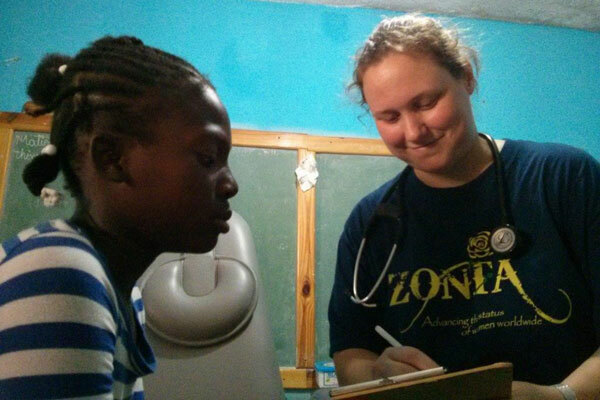 During our mission trips, our medical team identified the need for greater education on women & children’s health issues, breastfeeding, maternal & child bonding. These topics will continue to be an area of focus for future trips. We also train teachers at HAC and women in the community on adult, infant & child CPR. 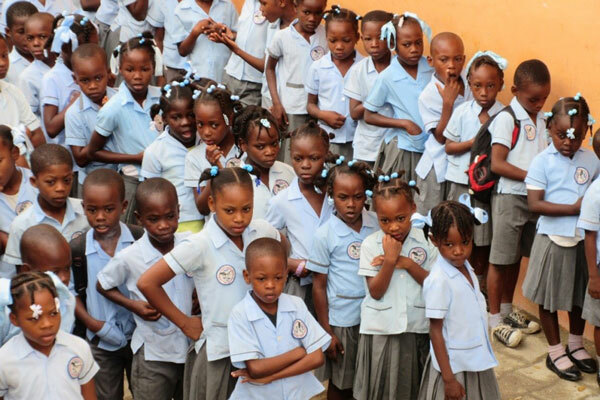 In Haiti over 50% of primary school age children are not enrolled in school. At the primary level, less than 10% of schools are public. The population's illiteracy rate is almost 60%, one of the highest in the Western Hemisphere. In Haiti, one-third of girls over 6 yrs of age will never go to school. Education is not guaranteed; it's privatized and too expensive for a population where 78% live on less than $2/day. 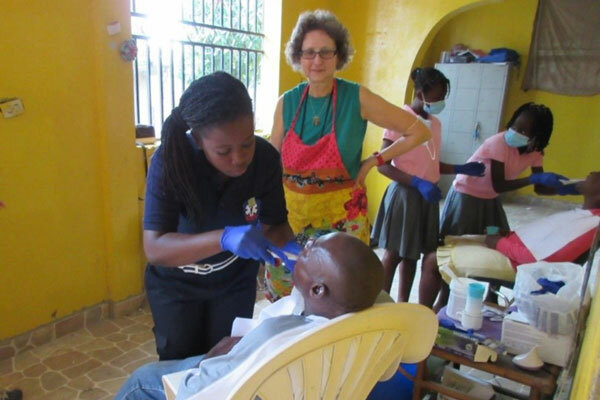 To combat these statistics, and improve the these children's futures, the Zonta Club of Cape Girardeau has partnered with the Haitian American Caucus (HAC) to provide support for the Institution Ecole Shalom des Freres. The Institution provides quality, low cost education to a rural population living in extreme poverty. For many of the students, it is their first time in school. We are developing a strong parent/caregiver network and focusing on providing for the whole family, so the students are nutured at home as well as school. It is through education that circumstances in Haiti will change. And while so much was taken from the children by the earthquake in 2010, an education is something they can have forever. The school has grown from 65 students to 425, and 90-100 students came from a local orphanage. 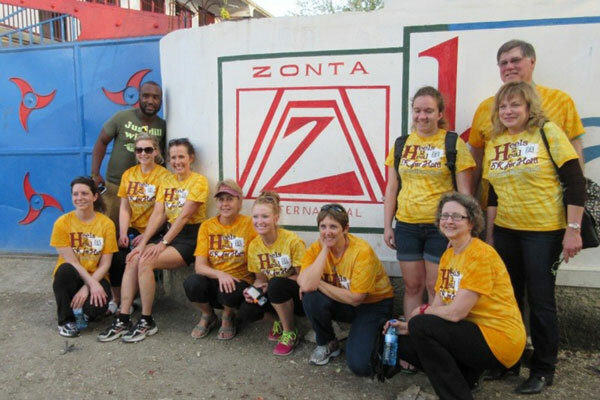 When Zonta started the Haiti Project in 2011, children were not receiving lunch during school. Today, all the students receive a lunch and are able to focus on their studies without feeling hungry. We are so happy to be able to help meet the basic need of food so these children can learn. With the enrollment at 425 students, and pupils reaching the high school level for the first time, more classroom spaces are needed. There are 130 preschoolers at this time; with an additional large number of young children, from a local orphanage, waiting to attend school. Six new classrooms are planned to be completed by Fall 2017. This will help alleviate overcrowding and allow the continuation of the grades through high school. We were so excited to participate in the ground breaking ceremony in March 2017. In addition, Samuel Darquin, the director, was thrilled to announce the acquisition of five acres behind the present school compound. His vision is to build a medical clinic and vocational school. Presently part of the acreage is planted in crops to subsidize Kids Against Hunger meals that are continuing to be shipped from the states. 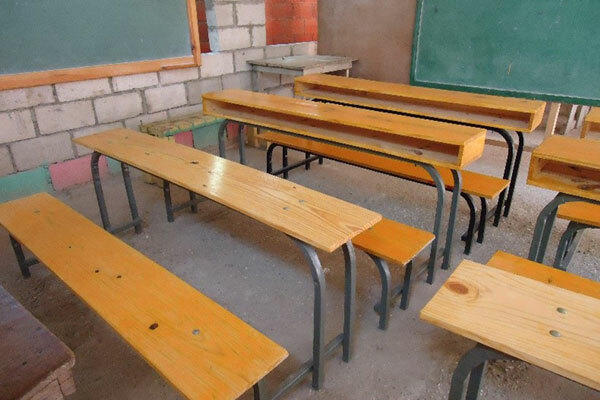 The students attending this school need sponsors to cover their educational expenses. Currently, Cape Zonta has 50 active sponsorship's, with many individuals sponsoring more than one child. With the continuing growth in enrollment and need for expansion, sponsorship is imperative. Please consider sponsoring a child and help Cape Zonta double that number by the next school year. Another key provider in the success of the school is Melissa Bain’s 610 Project (headquartered in Alabama). The 610 Project has been instrumental in acquiring bookbags, bicycles and musical instruments for the students at the school. 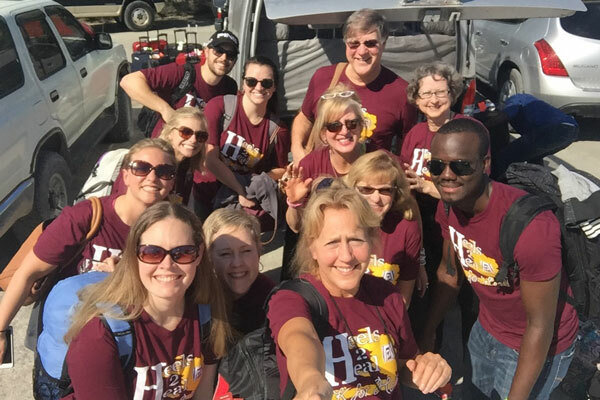 In February 2017, she took a team to Haiti and produced the school’s first yearbook. This was made possible by Rotary International and Balfour Yearbook. They also trained students to use donated DSLR cameras to document the school in the future. 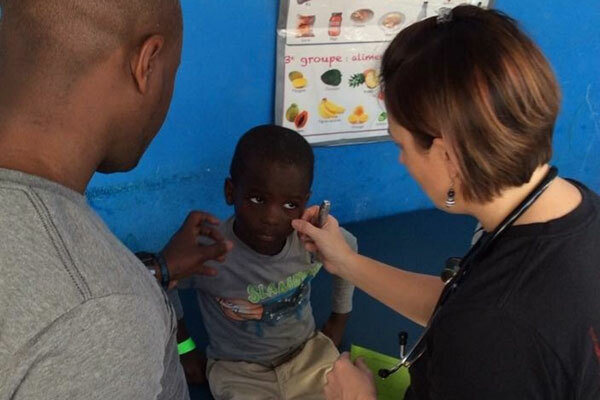 Melissa has a vision to build a school in Les Cayes, the home town of Samuel Darquin’s family. This area was devastated by the fall hurricane. Melissa has also been helping Cape Zonta ship goods from Alabama to HAC. And finally, during each mission trip, we promote the Zonta International - Zonta Says No Campaign to educate and advocate against domestic violence. Domestic violence only became illegal in Haiti in the past 5 years. Therefore, the education and advocacy efforts we bring are greatly needed for this culture change to take hold. Thus far, our promotions include "Zonta Says No" written in Creole on our t-shirts and posters visible at the HAC, written in the native Creole language. Additionally, two school girls read our domestic violence handout, written in Creole, to the women and girls that came through as patients. During our mission trips, we teach and mentor women in the community to learn a vocation with which she can become self-sufficient. 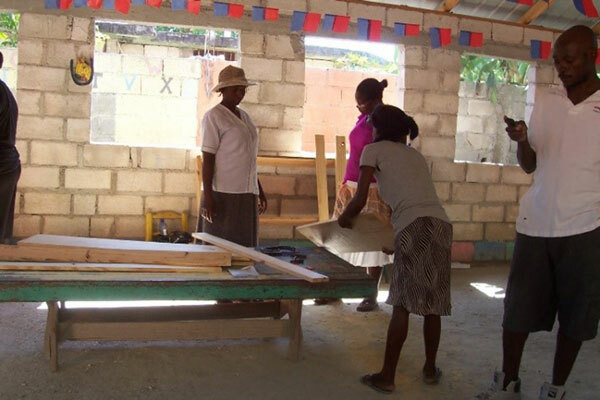 Recently, we provided women with the skills & supplies needed for sewing and carpentry. 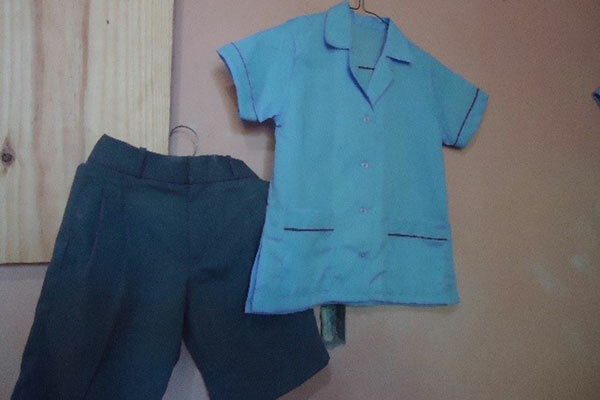 With the newly learned skills and tools we delivered (sewing machines & power tools), these women now make the school uniforms and school benches for HAC. And with a micro-financing loan through HAC, these women were empowered to start their own businesses; becoming self-reliant. We also support the Apparent Project. They help with distribution and sales of handmade product created from discarded materials such as cereal boxes and oil drums. These items are sent to the US, where they are sold through parties and fundraisers, thus providing the artisans with steady employment and a living wage. They also provide training in basic job skills and offer safe environment for infants & toddlers at risk. The purchase and delivery of supplies we use on the mission trips are funded by donations, which are tax deductible. Donations do not cover travel expenses for the trips. 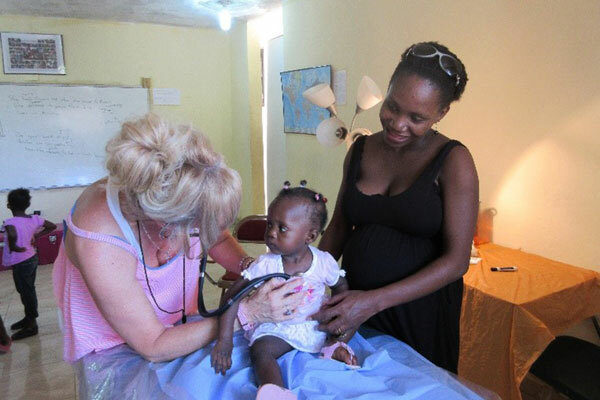 Fundraising efforts include the annual Heels to Heal 5k for Haiti in Cape Girardeau, jewelry sales, monetary donations from Zontians throughout the District, non-Zontians, Zonta Clubs within District 7, District pin sales, and church & service groups. 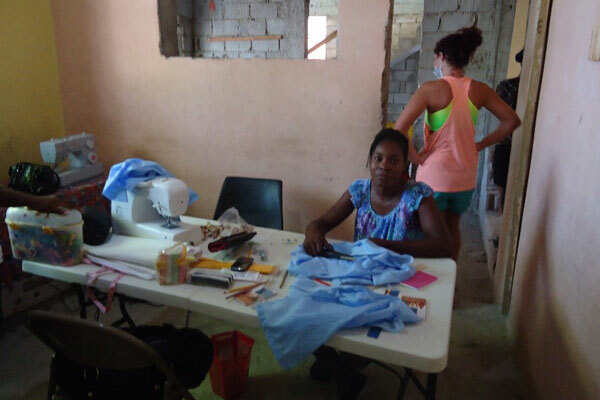 To date, we have delivered over 12,000 lbs of supplies, including: Medicine (Children’s Tylenol, vitamins, antibiotics), Eyeglasses, Clothing, Formula, School supplies, Jewelry making supplies, Sewing machines, Power tools, and over 100 Mosquito Nets. 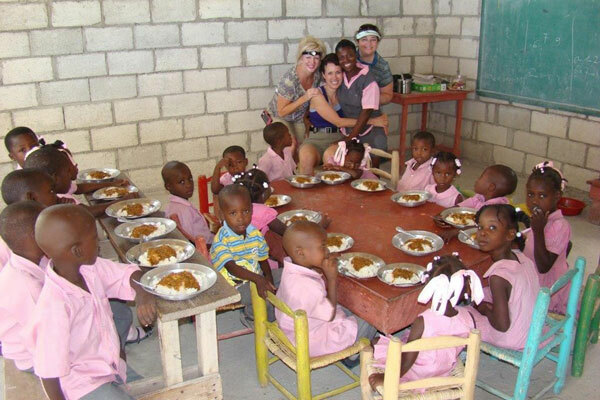 Haiti Trips: We would love to have members join us. No specialized skills needed to help. Monetary donations are always welcome. That gives us the most flexibility to purchase supplies that are needed. All donations are tax deductible.